BNP Thursday alleged that Prime Minister Sheikh Hasina is dreaming of hanging onto power for life by restoring one-party Baksal rule. “Prime Minister Sheikh Hasina at a discussion recently said no question would have arisen about the election had there been Baksal introduced by Bangabandhu Sheikh Mujiubur Rahman. With this, she just indicated in advance about what she’s going to do,” said BNP senior joint secretary general Ruhul Kabir Rizvi. Rizvi said people have sent out a message that they are not fool by not going to cast their votes in the recently held upazila elections. He said the Prime Minister is now praising Baksal by destroying democracy in the country. The BNP leader said Sheikh Hasina is doing everything with her whim as she has established ‘dictatorship’ in Bangladesh. 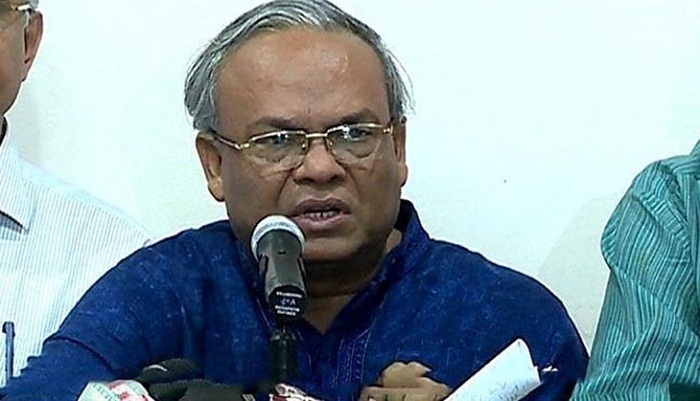 Rizvi alleged that their party chairperson Khaleda Zia has been kept in jail only to satisfy the Prime Minister’s political ‘vengeance’ towards her. He warned that the consequences will be dire if Khaleda is not freed from jail immediately.